Thank you for a great year. We really appreciate the working relationship and friendship with you and the entire team. You guys are truly awesome partners. 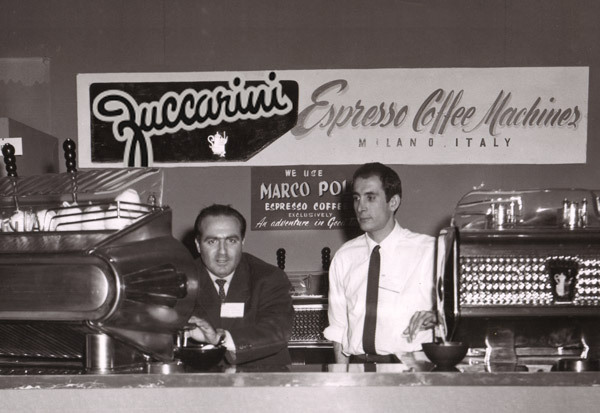 You continue to be a source of support and reliability to us, after all these years, from our very first espresso machine. It is truly a pleasure to continue working with passionate people and each year we look forward to accomplishing even more. I can’t thank you enough first of all for all of your help thus far! We’re all ready for our soft launch on Thursday and the machine is getting lots off oohs and awes! Endless thanks once again for your stellar service!! I take this opportunity to thank you all for the great support. I’m always happy to send you leads as you offer an amazing service! I have to say, dealing with you guys has been very positive. We are happy we went with you and your team, and look forward to future opportunities to try your products! Amazing knowledge and service ! Why go anywhere else ! I just wanted to thank you for your prompt service and for getting to us to repair our machine today. You guys have always been great and today especially – with the long weekend coming up and we had a catering event of 300 this afternoon…. all to say it was good to have our espresso machine! Thank you guys for the great service on our Machine. We just love it. It’s working like a charm. I am really excited to start using this espresso machine. I can’t wait until Monday! A great big thank you to everyone at the shop yesterday. We had a truly enjoyable experience testing out the different machines and embarking on our next espresso journey. We will definitely recommend Zuccarini. Just had to tell you that we are loving the machine and we are selling coffee!! So much fun! Thanku!! Had the fine pleasure of visiting Zuccarini yesterday. They sure know their stuff. Great place and I’ll definitely be back. Hands down best staff in Toronto. I walked in looking for a tamper with minimal knowledge of what I was to do with a proper espresso machine and walked out with a beginner training session on how to brew a decent espresso. Staff was so friendly and made sure I knew what I was doing with the tools I had rather than just trying to push a sale. Amazing experience! Thank you! I just wanted to say thank you for your kind hospitality today. You guys are so accommodating to make some time for us on our very sporadic visits [to service our Elektra commercial machine]. Thanks for everything. My best espresso machine shopping experience! Super knowledgeable, and helpful. I bought a new machine and they spent 2 hours patiently going through use/care and helped set my new grinder. I checked out a couple other places before coming to Zuccarini, but looked no further once I set foot in the store here. I am so pleased with my home espresso machine from Zuccarini that I need to share my experience. I had never purchased an espresso machine before and had spent months researching and shopping. I went to about 6 stores in the GTA ready to spend over $2000 for a machine. I went to Zuccarini and they made me a great coffee from the machine I was interested in. That gave me the confidence to spend that amount of money and know that I would be happy with that product. Most other places didn’t have the skill or time to make me a great coffee. I have had my [E61 machine] for 4 months and I produce quality coffee that converts drip coffee drinkers to espresso-based coffee drinkers. For what you get, the prices are similar to other stores, but the outstanding sales support means you know you are making the right choice. I really enjoyed your caffeine drenched barista training class today. You are a funny guy and an excellent speaker and instructor … bestowing praises upon you for your charming wit and excellent presentation skills. Great place to have a home barista training. They will even adapt it to your specific espresso machine. Very knowledgeable and useful. Plus they have a great selection of coffee grinders and espresso machines. Will definitely buy my stuff there! Had the fine pleasure of meeting [one of your sales people] yesterday. He sure knows his stuff. Great place and I’ll definitely be back. Just wanted to thank you for a great training session… Bill and I learned a lot from you and wow what a difference. Not only does our coffee taste better but I’m so excited to have creamy milk all of the time – it just seems so easy now that I follow your instructions. You are a great instructor and we appreciate your passion and enthusiasm – thanks for an enjoyable day of learning. It was amazing meeting you on Saturday. Our 1 and a half hour discussion helped empower me with just enough tools to convince my wife of the merits of semi automatic. And again, thank you for your time on Saturday. I learned a ton! Many thanks for a very educational and enjoyable experience on Saturday. It was an eye opener for me as to the importance of quality machines which machines I had really not seen before. Best place for all things espresso! Friendly knowledgeable staff, outstanding products for virtually every budget, and informative, laid back sessions to help you improve and elevate your home espresso and overall technique to that of a professional espresso bar. My wife and I found their lessons on achieving the perfect espresso and cappuccino at home to learning about your own espresso maker’s capabilities to finding the perfect beans for that awesome shot of espresso very interesting and helpful. We have a semi automatic La Pavoni and a super automatic Saeco, and Zuccarini gave us great advice for both. As we’re espresso aficionados, we’ll definitely be back when we’re in the market for a new espresso machine! Thanks! I just wanted to extend a sincere thanks to you and your team for getting us all set up for success. We are so much busier than anticipated and couldn’t be happier with the machine! The class was great and I picked up lots of tips. It was also interesting to listen to the other questions. It’s a great service for you to hold the class. Thanks again. Just a note to thank you and the staff at Zuccarini for your great introduction to being a home barista. My wife and I enjoyed both the presentation and the demonstrations and came away armed with much more knowledge about what we are looking for in a home espresso maker (so much better than the Youtube videos I have been watching). Sometimes it just the little things that make the big difference, For example, the fact that you were using a dedicated espresso grinder… I had never thought of that and now that I’ve seen one, that will be the type we will be getting. Plus your simple explanation about needing to introduce air into the milk before it gets too hot, to produce a good microfoam… I had no idea that is how milk reacted to steam. Thanks again for the class. Your years of experience really shine through. Your knowledge and expertise is amazing. I really need to come to TO more often! Thank you again for arranging the two micro courses [at the Canadian Coffee & Tea Show]. Even being micro, I found a few really good pointers. You have a great sense of humour which was greatly appreciate and made the 2 hours pass by very quickly. Thanks for the programming sheets! I just wanted to thank you again for the home barista training session… It was very interesting and informative. My wife and I learned some interesting things to improve our espresso at home. The Reg Barber tamper is great! I look forward to visiting Zuccarini again; the products are great and the staff is friendly, knowledgeable and helpful. Thanks again and keep up the great work! Merry Christmas to everyone there. Thank you very much for inviting me to the home barista training … you did a wonderful job answering everyone’s questions and entertaining everyone in the process!